It isn't hard to find out if a soft water solution is right for you. 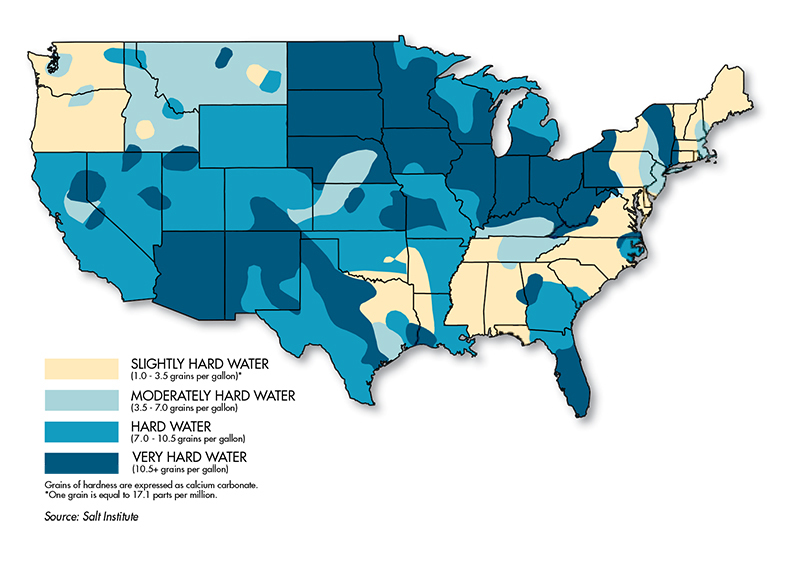 More than 85% of American homes have moderate to hard water. Hard water can lead to reduced water-flow efficiency, clogged pipes and appliances, along with dingy-feeling clothes, spotted dishes and build-up on fixtures - all of which cost you money and cause frustration. Do you have hard water? Find out. Locate your area on the map. Trust Nature’s Own® to provide you and your family with a year-round soft water solution you can count on and enjoy the benefits of soft water.